I think over the past few years, my internet browsing experience has steadily decreased. 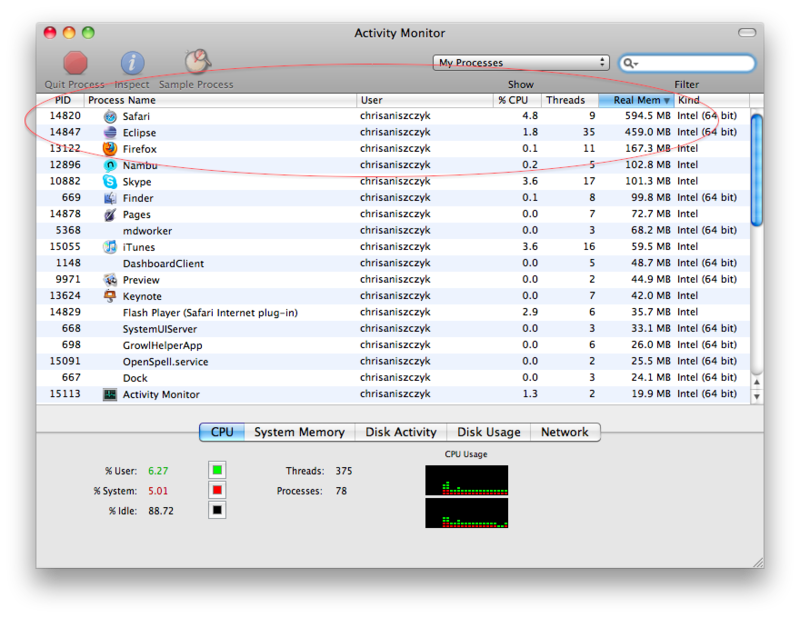 From Firefox leaking memory like a sieve to Safari officially eating more memory than Eclipse on a consistent basis. Memory, it’s what’s for dinner.